Pulau Rawa is an idyllic tropical island paradise off the East Coast of Peninsular Malaysia. It is a small island about 1 km long and 200 or so metres wide on average. It lies some 20 km offshore the Johor port town of Mersing which is where you have to catch the boat to the island since there is no airport. 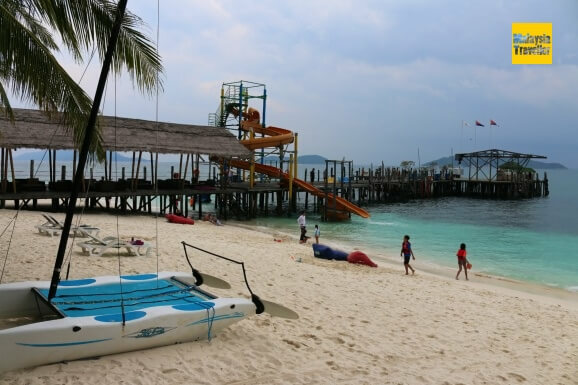 How Does Rawa Island Compare With Other Islands In Malaysia? 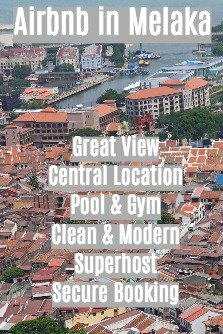 I have visited quite a few resort islands and beach resorts in Malaysia over the years including Perhentian Islands, Redang, Kapas Island, Langkawi, Pangkor, Sapi and many more. Sand Quality: Rawa's beach has fine, powdery white sand and is probably the best I have seen in Malaysia. 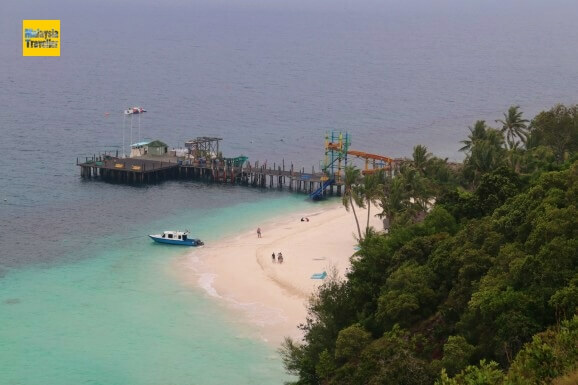 Rawa is sometimes called 'Little Boracay' and compared with the Maldives. Sea Conditions: The main beach in front of the resort is usually calm and provides safe swimming, kayaking and snorkelling activities for all ages. Sea Colour and Clarity: Perhaps not quite as clear as Perhentian but still excellent. Marine Life / Fish: Again not as plentiful as Perhentian but there are fish to see just by standing on the jetty or swimming in the shallows. One rather aggressive small brown fish kept trying to take a nibble out of my leg - not painful but a bit shocking. Rawa is the only place in Malaysia where I have seen a shark (only a baby one) while standing on the water's edge (see the video above). Coral: Coral reefs are sadly in decline all over the world and dead corals are more common than living ones. 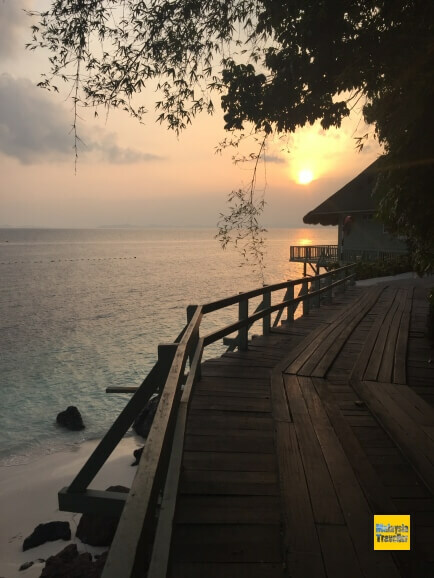 However Orca Scuba, a PADI five star scuba diving centre, chooses to maintain its open water school at Rawa and rates it as the best place to learn to dive in South East Asia. 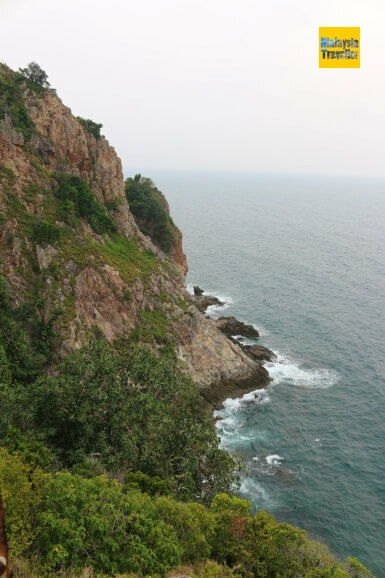 Topography: The island is a good shape and size with an enjoyable Hilltop Walk and an Island Walk to provide an alternative to relaxing on the beach. Flora and fauna: Here you can see peacocks wandering freely, colonies of fruit bats squeaking away in the trees, barn owls (introduced to control the rat population), kingfishers, black & white doves and many other types of bird. 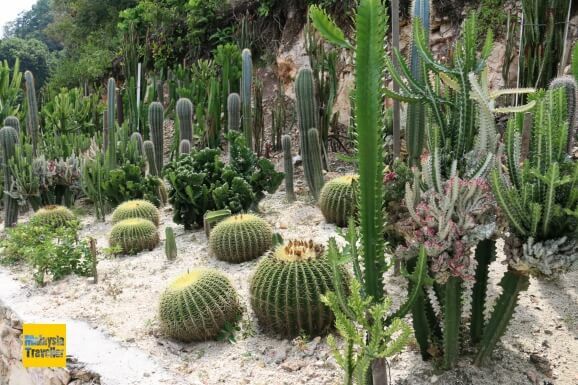 There is also a wide variety of vegetation including a fabulous cactus garden. 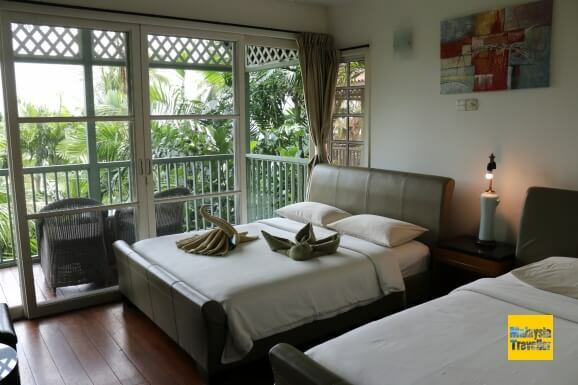 There are only two choices for accommodation on the island, Alang's Rawa and Rawa Island Resort. 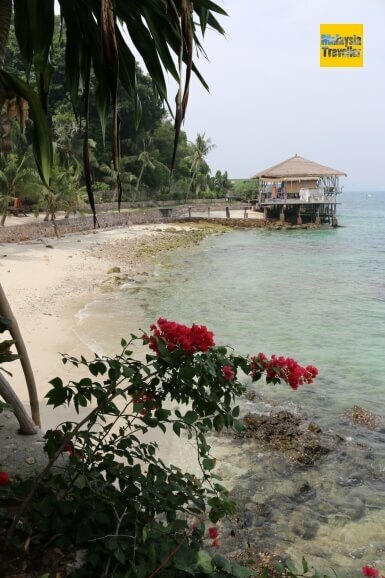 I stayed at Rawa Island Resort so will confine my comments to that hotel, which is the more family oriented of the two. Google rates this as a 3-star hotel. 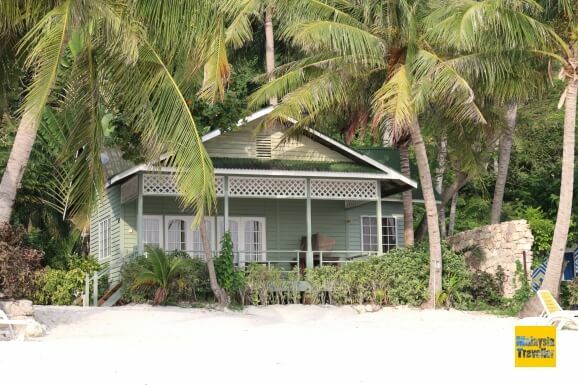 A good range of rooms: Beachfront Chalet, Hillside Deluxe, Waterfront Bungalow and Frangipani Villa. 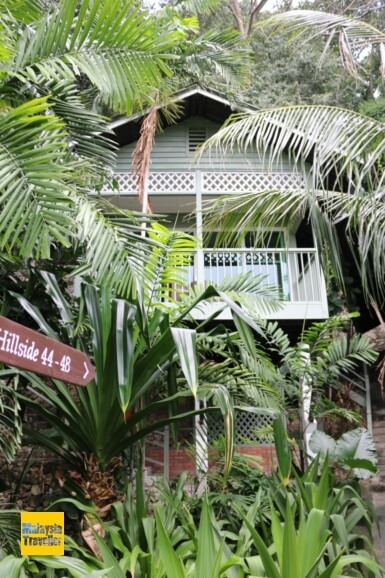 We stayed in a Hillside Deluxe chalet with a double bed and a single bed so ideal for a small family. It was clean and comfortable with air-conditioning and a ceiling fan. The bathroom is rather basic but has all you need including hot water. Plenty of drinking water provided free. No TV or wifi in the rooms. The phone/mobile data signal was OK. Wifi is available in the restaurant/lobby. Inside our hillside deluxe room. Food. There is one restaurant serving buffet meals at breakfast, lunch and dinner which were all included in the package rate. Plenty of choices on the buffet and vegetarians are catered for. The food was nothing fancy but perfectly fine for recharging the energy for another round of beach activities. Staff. 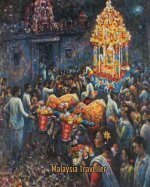 The service was quietly efficient and all the arrangements for baggage and boat transfers seemed to work like clockwork. The slide was great fun! A great waterslide on the jetty. Lots of seating areas, sunbeams, hammocks and cosy corners to get away from it all. Great views and cooling breezes from the hilltop. The landscaping is beautiful with something nice to look at in every direction. 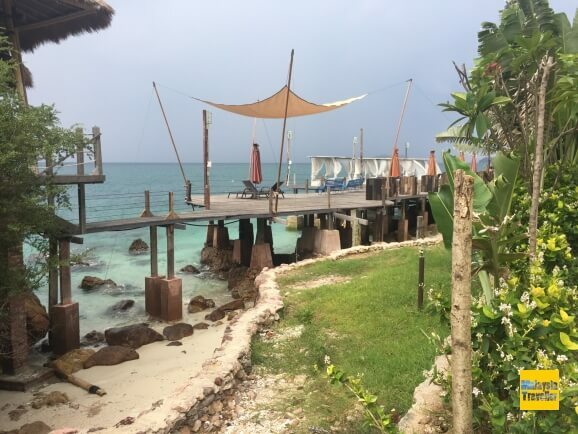 Who Is Rawa Island Resort Good For? Parents who want their children to have a break from their devices. Romantic couples, newlyweds or old timers. Not really a place for partying (try Alang's next door). This is not a cheap holiday but bear in mind that all food and supplies for the hotel have to be brought out to the island by boat from the mainland. Two night packages for two people currently start at RM 2,296 which includes 2 way boat transfers, three daily meals, welcome drink and accommodation. 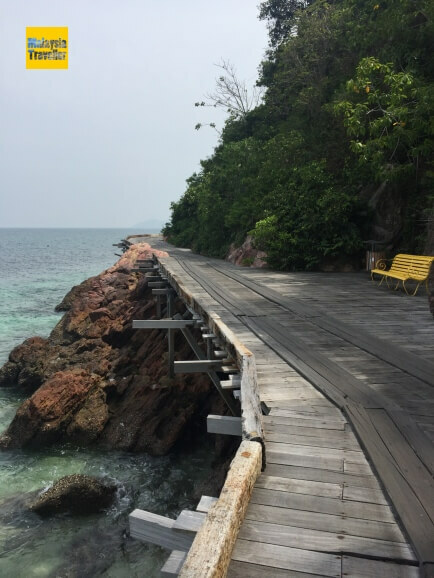 Additional charges are the Marine Department's Conservation Fee (RM 30 per adult for non-Malaysians) and secure parking at Mersing, RM 18 per night. From Mersing you will take the resort's speed boat, a sturdy double-hulled steel and fibre glass boat capable of holding 20 passengers. It is covered so you should not get wet. The trip takes about 30 minutes and can be a little bumpy in rough seas. 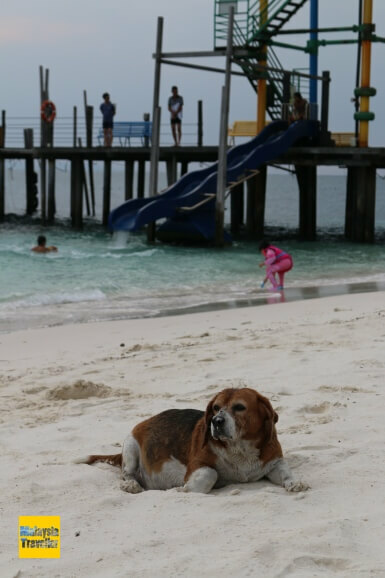 It's a dog's life at Pulau Rawa!